At one end of the Llanberis Pass, a mountain has disappeared. In its place lie immense piles of slate and a handful of enormous holes. 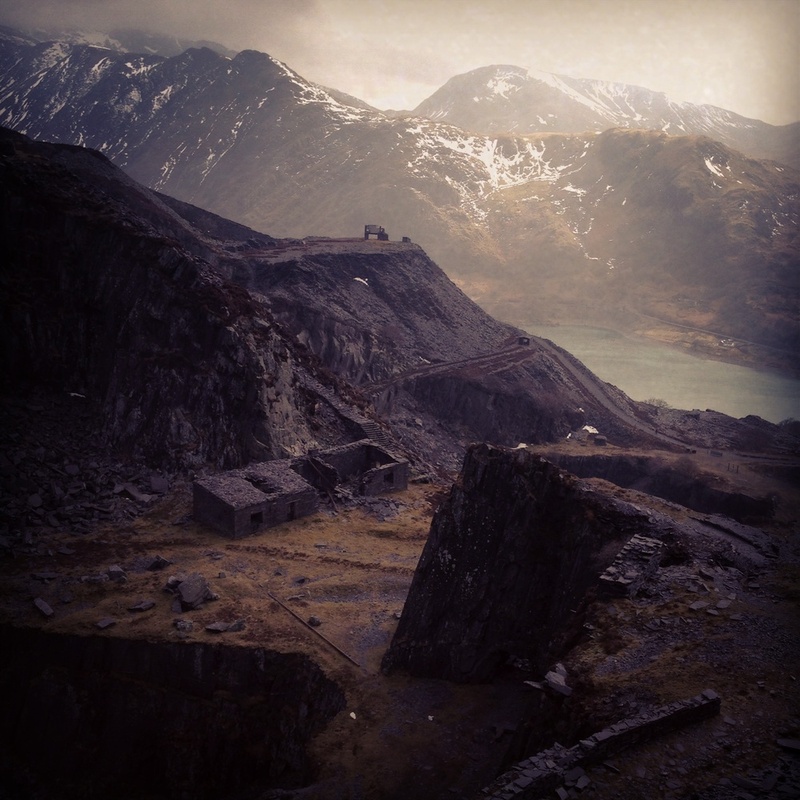 After nearly two centuries of digging, slate quarrying at Dinorwic came to a halt in 1969. For every ton of slate that the Welsh unearthed, another thirty went to waste, eventually stacked so high that it became unstable, making the quarries unworkable. A walk along its deserted paths and tunnels offers an encounter with a time when men moved mountains and the industrial landscape shaped that of the physical. I was in the quarry to climb but wet weather thwarted our plans. Instead we spent the day exploring its various pits and tunnels. Armed only with my iPhone, I shot a series of images that I hope captured the strange atmosphere of this remarkable location.